Are you ready to see the most charming log home ever? 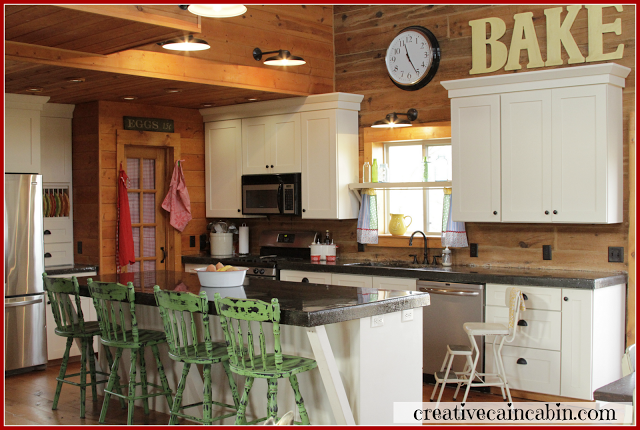 Today I’m featuring Dawn’s beautiful cabin home in this first segment of my new Charming Home Series brought to you every Sunday! 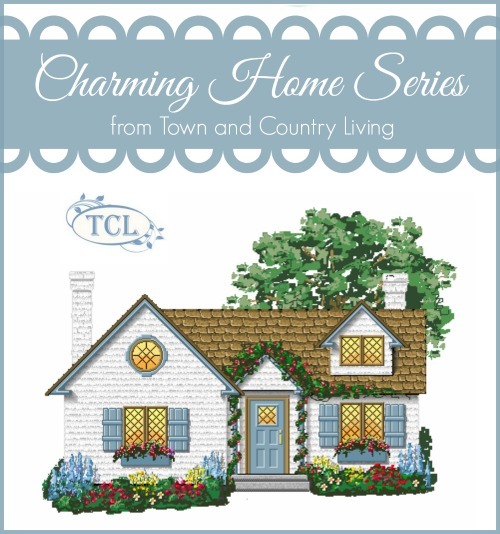 I can’t tell you how excited I am to bring you the best of the best in charming homes! My goal is to share a variety of styles with you since charm isn’t confined to just one genre. 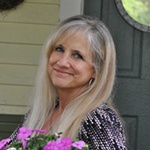 For my first feature, I’m showcasing Dawn who blogs at Creative Cain Cabin. I’ve been following her story for about 2 years now. I think you’ll find her home as charming as I do! Here’s a corner of Dawn’s living room. Note how she uses a mix of white and color against the earthy, wood walls and floors that are reminiscent of log cabin style. She has a knack for balancing the colors throughout her rooms. Part of the charm of Dawn’s home is the abundance of personal touches, like the big white star resting on the floor in the background and the custom pillows that add softness and pops of color. 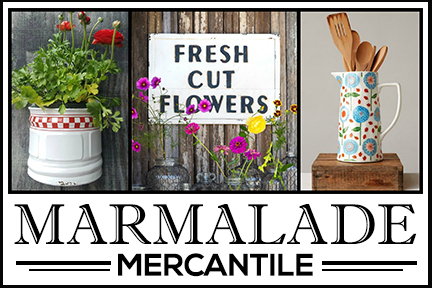 Dawn has a creative eye for artful arrangement of beloved items, like the cute cow print (which I absolutely adore) with a mix of blue mason jars and other prized possessions. 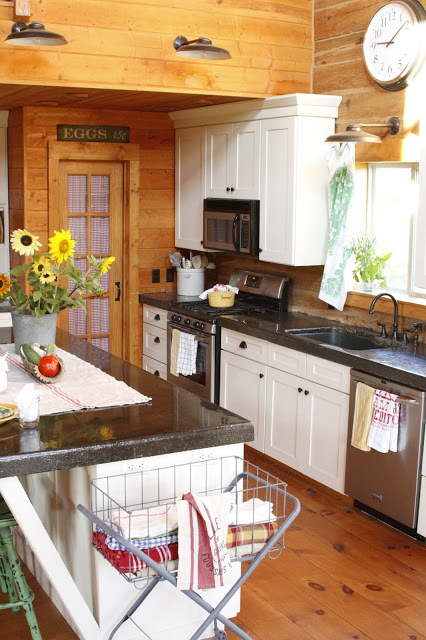 Let’s take a moment to ooh and aah over Dawn’s charming log home kitchen! Once again, notice how she uses color in this space … green bar stools, a yellow pitcher on the windowsill, and a red apron hung by the French door. The letters spelling BAKE add whimsy to the space. The use of white cabinets provides fresh appeal against the wood paneled walls, keeping the room bright and cheery. Doesn’t it make you want to invite yourself over for a cup of coffee? 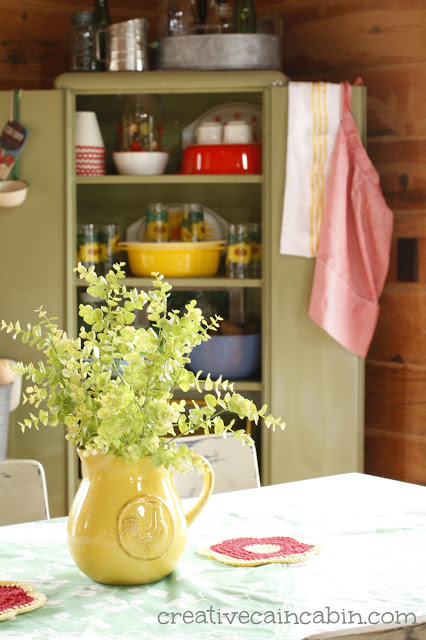 Vintage bakeware and dishes lend color and style in the corner cabinet of Dawn’s dining space. It’s easy to see she loves color. 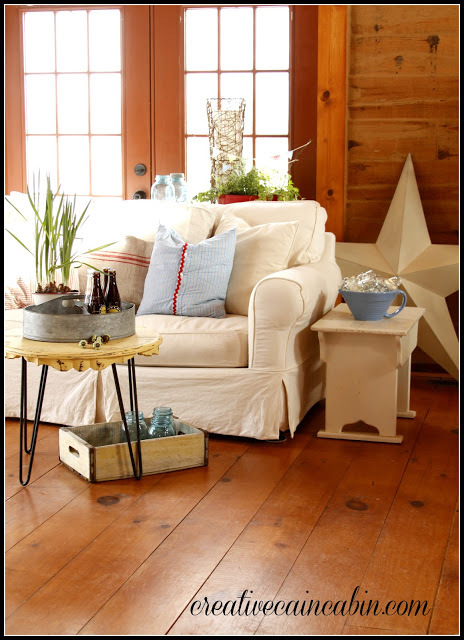 Part of the appeal of her charming log home is that you’d feel comfortable visiting … it’s a bright, happy setting. 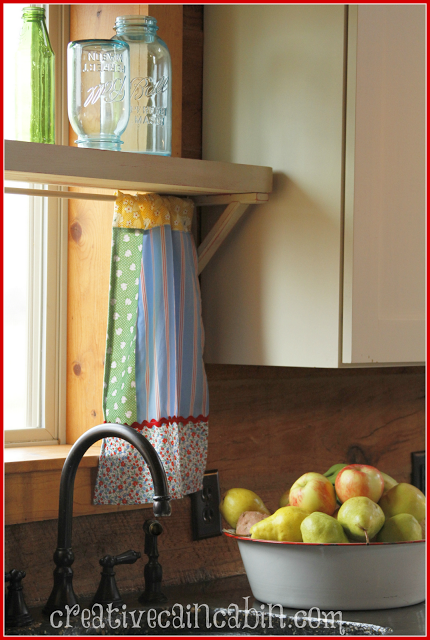 Colorful curtains and an enamelware bowl overflowing with fruit provide a down-home feel to Dawn’s charming log home. 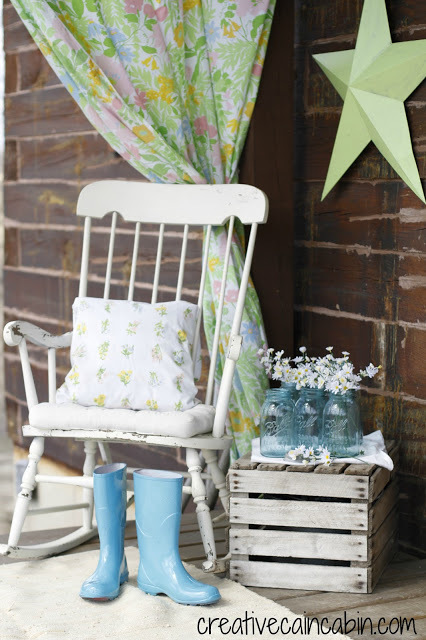 You can almost feel the country summer breezes! 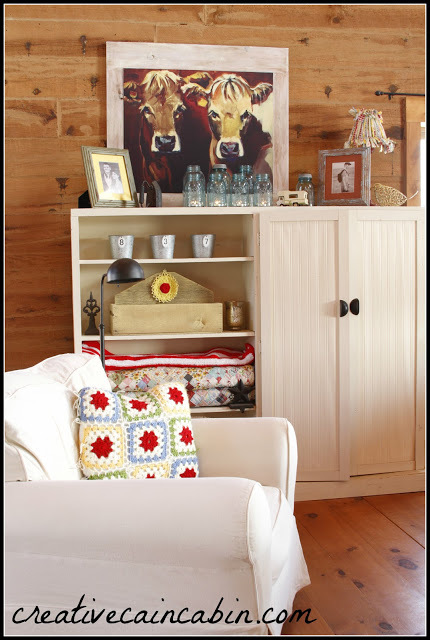 Moving onto the master bedroom, you’ll see that Dawn has infused her colorful prairie style in this space, as well. 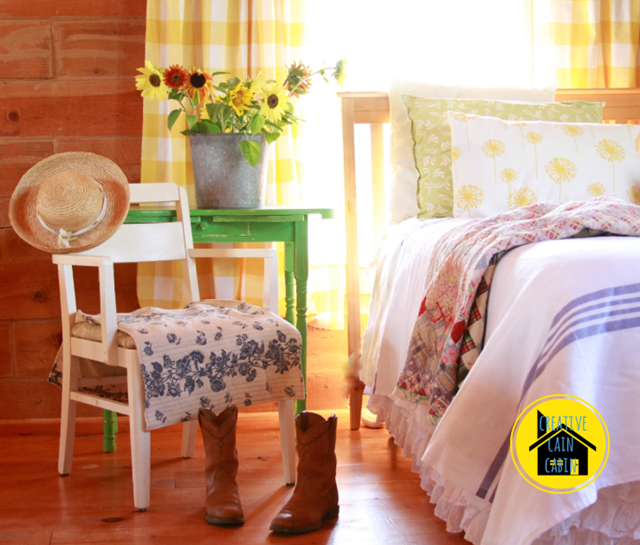 Yellow, buffalo check curtains provide a soft backdrop to the green end table adorned with a galvanized bucket full of sunflowers. I’ll bet they were picked fresh from her yard. A ruffled bed skirt and simple quilt add softness to the master bedroom. Wouldn’t you love waking up in this room and enjoying breakfast at the simple green farm table just steps away? I can’t imagine ever waking up on the wrong side of the bed in this room! 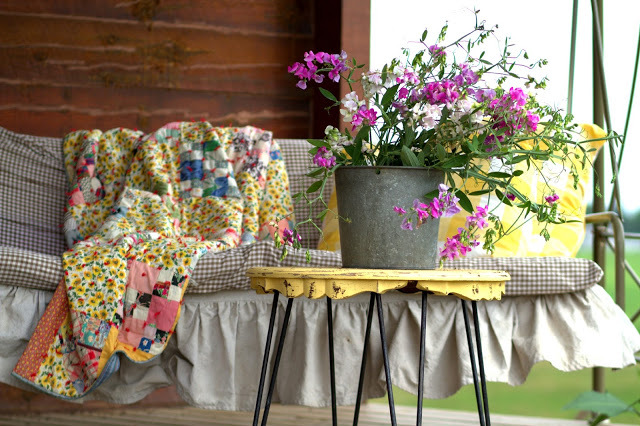 Dawn’s a girl after my own heart, with her love of wildflowers and simple textiles. Her porch is ever-evolving from season to season. It’s always a joy to see how she changes it. And lucky girl … she not only has her front porch, but this side porch as well. True to form, Dawn has styled it with the same charm you see throughout her home. Her style is truly refreshing and I always get a happy feeling when I visit her blog. Her home also has a world of beauty around it, too! Blue skies and green fields for as far as the eye can see. I think “idyllic” is the perfect word for describing Dawn’s charming log home. 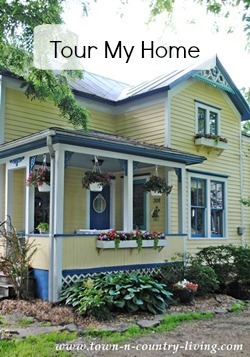 A special thanks to Dawn for allowing me to feature her home in the first of my new Charming Home Series! 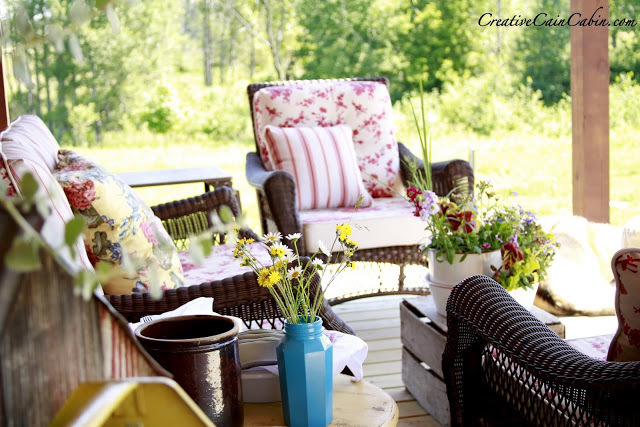 Be sure to visit her at Creative Cain Cabin for even more inspiration! I know you’ll love all that you see over there! And stop by next Sunday to see yet another charming home! Jennifer, thank you so much for letting me be the first in your “Charming Home Series” you did a magnificent job and I am honored to have a spot on your blog 🙂 Have a wonderful Sunday! Great choice to pick Dawn to start your series! Her home is absolutely adorable! I’m going to love visiting here every Sunday. I thought the motif on the one throw pillow carried over to the kitchen curtains was brilliant. I looked at some posts on her blog from last year and the pictures are cute as well. Job well done. Oh, I just love Dawn’s lovely log cabin. Thank you for taking us on a tour through her lovely home. Such a comfortable, happy home to share – I love it! I love this series that you started. 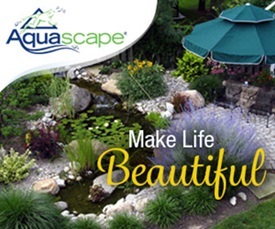 It will be so much fun to see all the inspirational homes you showcase. I love Dawn and we have become friends in blog land. She is as sweet as her Cabin. I just love her cabin pictures. Her home is bright and cheery just like she is. This was fun to see her pictures featured here. I love Dawn’s home! It is beautiful! Thanks so much for the tour! I’m a big fan of Dawn’s and you’ve showcased her home beautifully! Loved the tour. Dawn’s home is just so pretty and colorful, I love how she displays here things around her home! Love her kitchen and the sweet curtains! Love your new series too! Great tour of a beautiful log home! I have been following here for awhile now and LOVE her style. Great feature! Dawn definitely has a knack for decorating! Her cabin is always so bright and inviting. I’m looking forward to all of your Sunday home tours. What a great choice, so very pretty and fresh, I like her style and have visited her blog many times!!! Jennifer, this is such a lovely and inviting home. I am so glad you posted about it! 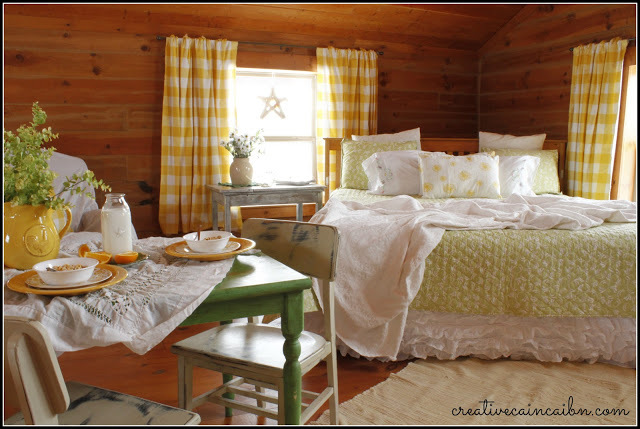 Thanks for featuring Dawn’s cozy cabin home. I love her colourful vintage decor. Dawn’s home is truly Charming with a capital “C.” Love all of her personal touches and her use of fun vintage accessories. The bright colors Dawn adds to each room makes her home so cheery. I absolutely love Dawn’s home! Her style is so colorful and friendly. I bet anyone would enjoy spending time on her porch and looking out at the beauty. Great feature! This is such a charming cabin!!! Just beautiful, love every part of it!! I love love love this series, Jennifer! ANd you hit a home run first off! Dawn’s home is one of my very favorites. Sunny, warm, intimate, fun, welcoming, sooooo unique. stylish and just about the prettiest thing I ever did see! 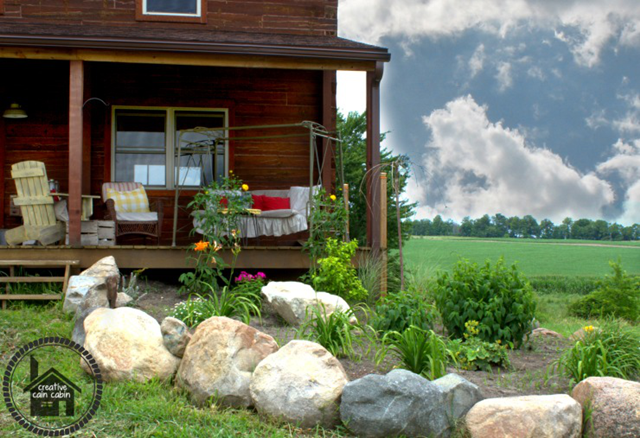 Wouldn’t you love to spend a day on her porch! Thanks for all the charming inspiration! Such beautiful home and lovely inspiration. This is a welcoming and cozy home. Full of pretty details and charm. Thank you for visiting me. Your sweet comment is appreciated. What a great series…I love Dawn’s style and beautiful home!! Awesome feature! I’ve been a big fan of Dawn’s charming home for a long time. Wonderful start to your new series, Jennifer! Oh my gosh! So pretty. This is one of those homes you want to look at over and over again. It was like looking through a magazine. Love the use of color. Love!!! Definitely will visit Dawn. Great choice this week Jennifer! If I’m ever lucky enough to build another house, it will be a log cabin, so I enjoyed seeing someone else’s approach. I love every inch of Dawn’s beautiful home. I enjoyed the tour. I have always loved Dawn’s style and her use of color. Her creativity really shows with all of her charming arrangements. The little breakfast table in her master is so cute and I would love to sit on her porch with the pretty white rocker! Great kick-off to your wonderful new series. I just love Dawn’s home and blog. I love it! Very excited about the series too! For the past several months I have been really loving log homes which I was neither here nor there about before. But ever since Christmas time I am in love with them…so cozy and charming. Thank you for sharing Dawn’s beautiful home! 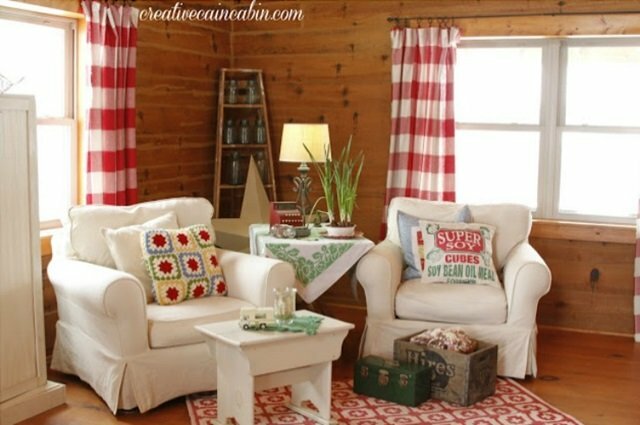 I am in love with her decorating style and her cabin. She could give a few pointers to the HGTV dream team show; did you see the horrid tree limbs in the corners on last nights show? what a charming cabin! Just love the colors and the style! If I could only duplicate the kitchen The yellow bedroom is just asking for happiness Such a gracious and delightful feeling in this home. Love it.